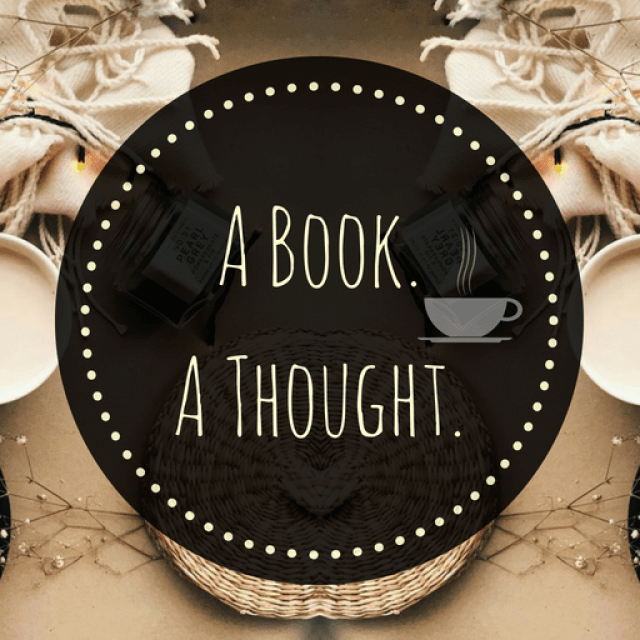 Bookish Updates | A Book. A Thought. Guys, can you believe that this time of year has just come again?! I can’t believe it, I knew that my anniversary would be here soon, but I received the notification and honestly tooks me by surprise. ❤️ I’m planning to do something in the next few weeks, I’ve been thinking a lot and I feel that the best way to celebrate these 2 years is to highlight each week a group of incredible book bloggers that I love, respect and admire. Because in what other way could I thank you more than highlighting your wonderful work and sharing it with everyone, right?. I hope that with this series of post that I’m setting up you can meet and support other bloggers and maybe you’re one of them, because I’ll try to highlight as many as possible, with this I hope to express the love and gratitude that I have with the community and maybe, you can meet your next favorite book blogger. I would like to finish this by thanking again because it seems that I can’t thank enough in a single post lol. I also want to tell you that please don’t feel discouraged if things don’t go as you expected, this is especially for my beloved international bloggers, I know that we have close doors everywhere, but we keep strong and I’m proud of you. In my October TBR I told you that my boyfriend will be uploading his review for One of Us is Lying, and he will! He’s still reading it 😂 💕 , but once he finish it, he has already told me that he wants to write the review and I’ll upload it when I have some time maybe next week. Hi guys, I hope you’re having a great day, today I want to talk about something new that I’ve decided to do. I made the decision a few days ago to send an e-mail to the people of Book Depository and tell them that I was interested of becoming an affiliate, to be able to provide direct links to the page so that you can use them and buy the books directly from there. They answered me very quickly and kindly telling me that I was already an affiliate, which made me feel very happy because I honestly adore the page and it’s a pleasure for me to have them present, in a small part, in my blog. I wanted to be honest and talk about this, because I want to tell you the reasons why I decided to be affiliated of the page. I’m from Argentina as many of you know, or what most would call an international blogger, and things here are really difficult economically at the time, due to the change of government and others matters. So for me it’s very difficult to buy books where I live, since obviously they are extremely expensive and for the moment they just keep going up. Because of this I have always found in Book Depository a super reliable page where I can buy my books in a much cheaper way, also since their shipping is free, one only ends up paying the price of the book itself and that’s great. Unfortunately now with the rise of the dollar is also a bit more expensive for me to buy them on the page and because of this and because I’ve been recommend the page for years now, I wanted to try to be an affiliated, this way every time you click a link provided by me, in my reviews, wrap up or in other types of posts in my blog, (‘ve even provided a banner in the sidebar, as well), you’ll have the possibility to buy the book you want from the page and if you do, I’ll be receiving a small percentage of it, a 5%, that obviously will be of great help for me, to be able to continue reading all these amazing books that make us so happy, to continue reviewing and talking about them with you. I want to clarify that nobody is being forced in any way to buy the book from my links, not at all, but to do so, I repeat, would be of great help to me 😊 . I felt the responsibility to talking to you all about this, since I don’t want to you to go into my blog one day and think that I have changed in some way or added links with another type of intension. Also since I started with the blog I valued the dialogue that I have with you and I have always been 100% honest. This blog wouldn’t be possible otherwise, so I think we’re already like a family and wanted to let you know.